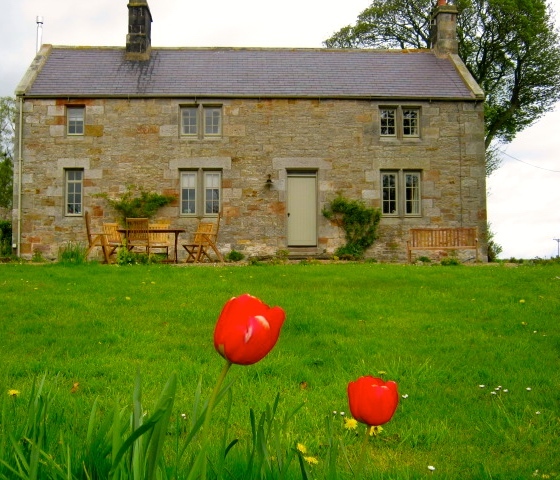 This months hand-picked holiday home is Limeworks cottage at Lowick in Northumberland, a charming 3 bedroom cottage in an idyllic, rural location between the Cheviot Hills and the stunning Northumberland Coast. Limeworks Cottage is beautifully furnished and presented throughout and is the perfect place for families and couples wishing to get away from it all and enjoy a big comfy house after a day on the beach or walking the Cheviot Hills, following the routes of ancient cattle drovers, taking in Iron Age stone fortifications and traces of Bronze Age hilforts amidst the tranquil and rugged landscape – read more. The cottage has a open-plan kitchen and dining area. Kitchen with 2 oven Aga, single oven with 4 ring gas hob, large Smeg fridge / freezer, dishwasher. NB A washing machine is available in the outbuildings. Dining area (seats 8) – read more. Sitting room with open fire and TV with Freeview, DVD player, wi fi and iDock. Study / snug. Cloakroom with WC and basin. Entrance hall and inner hall for storage of outdoor kit. Ground floor bedroom with two 3′ beds which can be superking or twin and a en suite bathroom with bath, walk-in shower, whb and WC. Study/snug. First floor Bedroom one with 5′ king size bed with en suite bathroom with bath, walk-in shower, whb and WC. Child’s bedroom (single bed). Bedroom two with 6′ superking bed or two 3′ twin beds.Bathroom with bath with handheld shower, whb and WC. 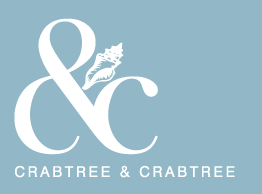 Every Crabtree & Crabtree property is handpicked by Emma Crabtree and her team – read more. Dogs welcome, wi fi, drying room. Cook or homemade meal delivery available. The River Till is nearby for salmon and sea trout fishing and Chatton Trout Fishery – find fishing.